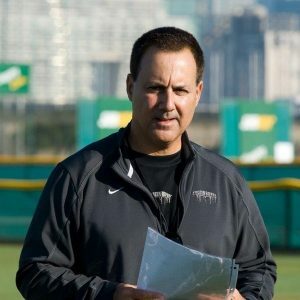 The St. Thomas Aquinas College Department of Athletics is pleased to announce that Major League Baseball and USA Softball Consultant Tony Abbatine will be joining the Spartan Athletic Staff, beginning this winter, as a mentor to both our coaches and student-athletes here at the college. Tony will be presenting a series of workshops throughout the academic year to both St. Thomas Aquinas College Coaches and Student-Athletes, which will focus on new methods of coaching & teaching, and enhancing student-athlete growth and development through mental & visual skills training. The first of these seminars will take place on Monday, December 18th at 6:30pm in the Spartan Multipurpose Team Room and will be geared toward the current Spartan Coaching staffs. Abbatine, currently serves as an Undergraduate Adjunct Professor for Sports Psychology at the college. Tony Abbatine received his B.A. in business from the University of Buffalo and law degree from Pace University. A practicing attorney and former state prosecutor before retiring from law in 1995, Tony turned his passion to teach baseball and softball into an international brand called Frozen Ropes. ​As the catalyst behind the Frozen Ropes teaching model, Tony is responsible for the training program and instructional model used at all Frozen Ropes locations. His unique communication style and training techniques resonates with kids for lessons on and off the field. ​Tony’s performance-proven model has also been adopted by numerous Colleges and various Travel Organizations. The foundation in which drives Tony, has become a cultivating opportunity and is impacting lives worldwide. Abbatine is the author of numerous articles on player development and his work in the baseball industry has been featured in Sports Illustrated, Newsweek, ESPN, USA Today, The New York Times, The Washington Post, Baseball America and various television media. He is considered one of the leading experts in the baseball and softball world that can integrate the physical, mental and visual skills needed to perform at a higher level. Tony is one of only a few coaches who has instructed around the world at both the amateur and professional levels of baseball and softball. Tony has appeared as a guest analyst for TBS sports during the American League Divisional Series and on ESPN Radio sharing his insight on player development at the major league level. All-stars Mariano Rivera, Manny Ramirez and Mike Bordick joined forces with Tony and Frozen Ropes to produce a series of Instructional baseball videos for players and coaches that are being watched around the world. Team USA Olympian Jessica Mendoza and Frozen Ropes partnered prior to the 2008 Olympics in Beijing to produce what many in the softball industry have said is the best hitting video made for Fast pitch hitters. A regular on the national and international speaking circuit, Tony’s dynamic presentation skills and diversity of topics have allowed him to present at numerous State coaches associations as well as the American Baseball Coaches National Convention three times over the last five years. On the international scene, Tony has provided coaching instruction to elite level Italian, French, German and Japanese teams, both in the United States and abroad. Frozen Ropes’ “Power of Me” training camps in Dubai and Kuwait received international praise from coaches and players worldwide. As a consultant to their player development department, Tony has been hired by several major league baseball organizations, most recently, New York Yankees, the Los Angeles Dodgers, the Boston Red Sox, the Colorado Rockies, and the New York Mets. During these assignments, Tony has presented the Frozen Ropes Visual Mechanics and Showtime (mental skills) training models to the coaching staff and players, both in Spring Training and during the season. Since 1990, numerous major league players have refined their skills in the off-season under Tony’s watchful eye. Recent vision training workshops have been conducted at NCAA Division 1 Softball powerhouses U of Florida and Hofstra University. Currently overseeing the mental and visual skills for Team USA Softball as they prepare for the 2020 Olympics, Abbatine has worked with numerous college and professional teams in this area with an emphasis on integrating the visual component to traditional sports psychology.